CK Junior Adalis Andelis was featured in this months Patagonia Magazine for the CK Science Research group's work on removing invasive Phragmites from the Ridgewood Reservoir. 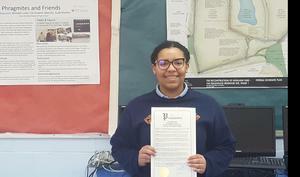 New York State Senator Joseph P. Addabbo Jr. issued a proclamation declaring the Ridgewood Reservoir a Class 1 Freshwater Wetland. 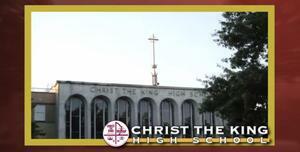 Watch CK's Open House video and see why you should be a Royal! 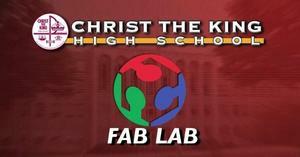 Have you seen CK's new Fab Lab? It's FABulous! Click to watch the video. Our students are excited to integrate the FabLab into their curriculum. Christ the King Students began this year’s Lenten season with its Ash Wednesday Mass. After the Mass, a Memorial Service was held for Christ the King trainer, Anton Turkovic. 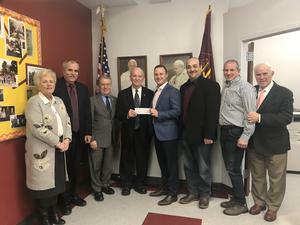 Family and friends were in attendance as Christ the King honored Anton for his years of service to not only to the CK family but the sports community. Father Frank Spacek will celebrate Mass in the school auditorium at 8:15. Ashes will be distributed during Mass. It is a good way to begin Lent. 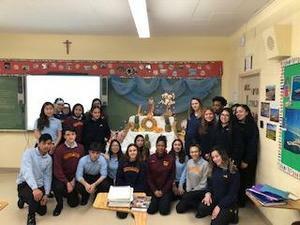 After Mass, there will be a Memorial Service for Anton Turkovic, who was the personal trainer in Christ the King High School for more than 15 years. He was known and loved by many people. 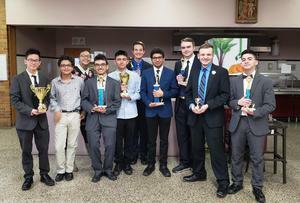 Congratulations to Christ the King's Class of 2023! We mourn the loss of Bob Normandia, our dear friend and colleague. Christ the King High School has lost our much valued Vice Chairman of the Board of Trustees, a founding community leader who for 40 years has selflessly served our students and our entire Christ the King family. We extend our heartfelt condolences to his dear wife, Irena and his loving family. He will be greatly missed.